“The Amazing Spider-Man scored the 2nd-highest non-opening Wednesday ever with $23.3 million,” tweeted Box Office Mojo last Thursday, the sort of statement that affirms both Box Office Mojo’s scrupulous stat-keeping and the utter pointlessness of human endeavor. 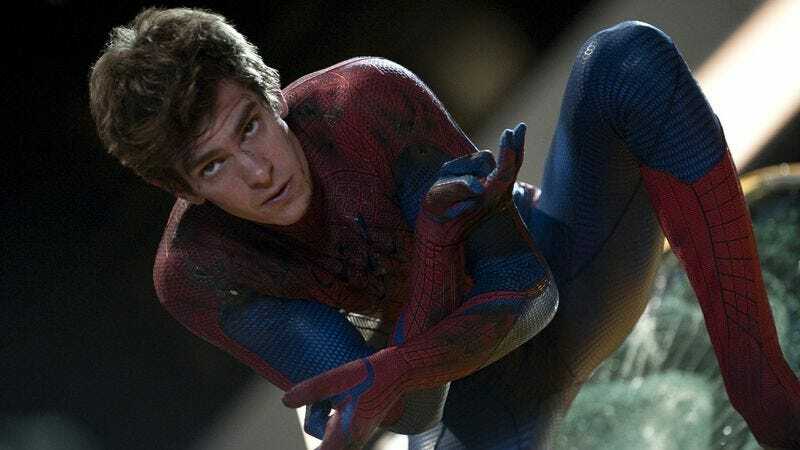 The Amazing Spider-Man achieved this almost-record by opening on a Tuesday, and it continued to perform solidly throughout the week and into the weekend, where it collected another $65 million to bring its domestic total up to $140 million. Though these numbers are relatively unspectacular compared to other blockbusters of its kind, The Amazing Spider-Man is still very much a blockbuster of its kind, so the fundamental wisdom of rebooting the franchise was confirmed. Meanwhile, Oliver Stone’s thriller Savages, based on Don Winslow’s propulsive bestseller about the misadventures of Laguna Beach pot sellers, scored a respectable but also unspectacular $16.2 million for fourth place. And though Katy Perry: Part Of Me looks like it tanked—$7.15 million for eighth, $10.25 million since its Thursday opening—it only cost $12 million to produce, and will surely recoup that pittance down the line. Not much happening in limited release, though it’s worth nothing that Moonrise Kingdom continues to hang around the Top 10 after seven weeks in release and looks to surpass the $30 million mark next weekend. Its current ninth-place standing puts it well ahead of studio blockbusters (Abraham Lincoln: Vampire Hunter, Snow White And The Huntsman, Prometheus, Rock Of Ages) that opened earlier and faded fast. So Wes will keep on being Wes indefinitely.